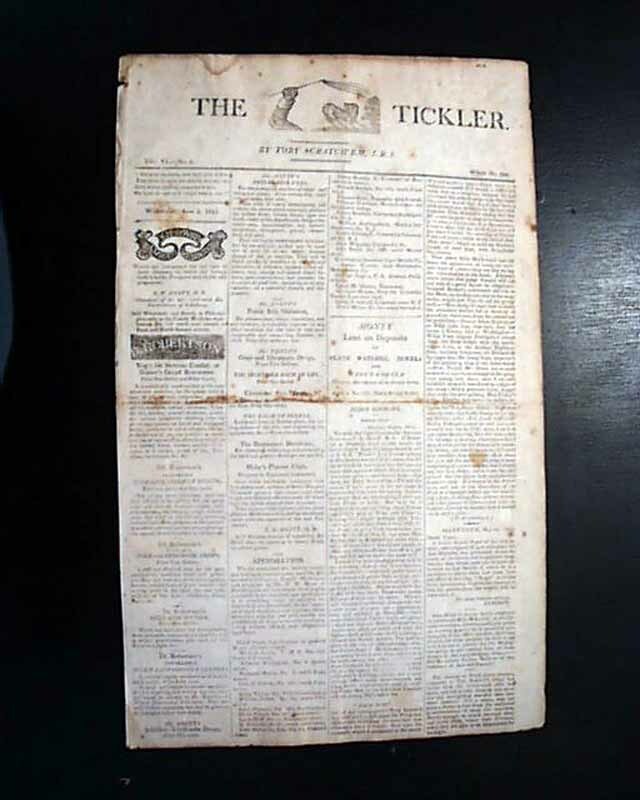 THE TICKLER, Philadelphia, June 2, 1813 The masthead features a very unusual engraving of a dog and an arm holding a switch, & notes: "by Toby Scratch'em". The back page has a comic illustration (see). 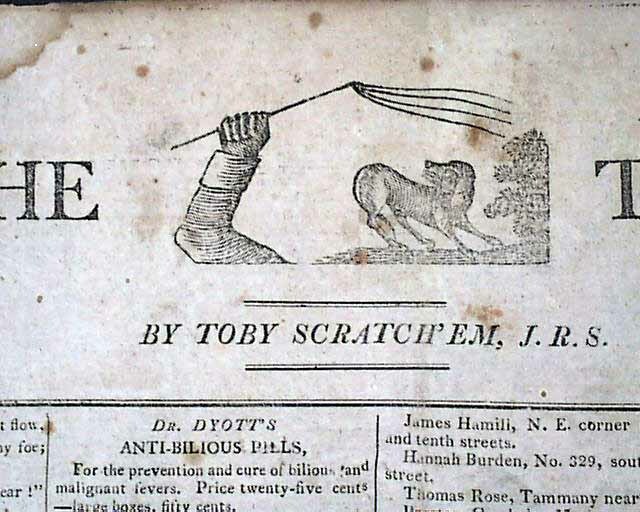 Complete as a single sheet issue, generally good.